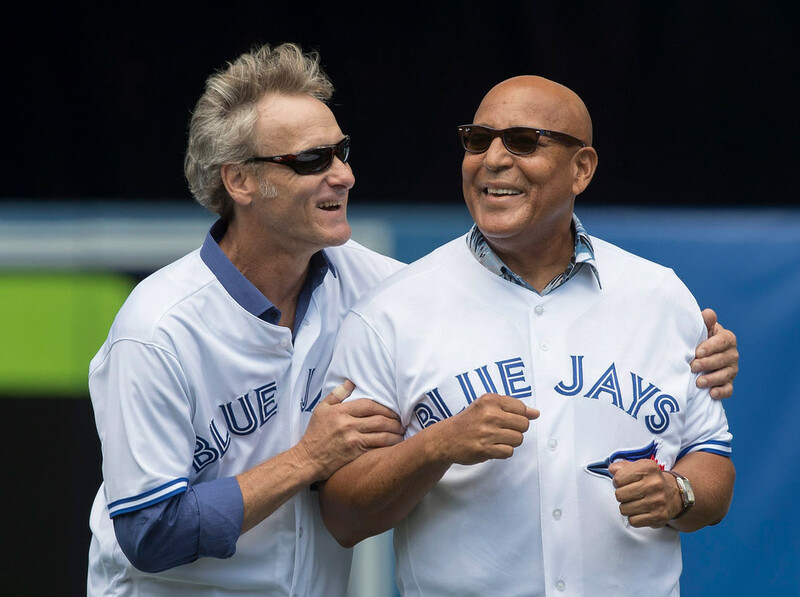 Otto Velez with Roberto and Sandy Alomar. 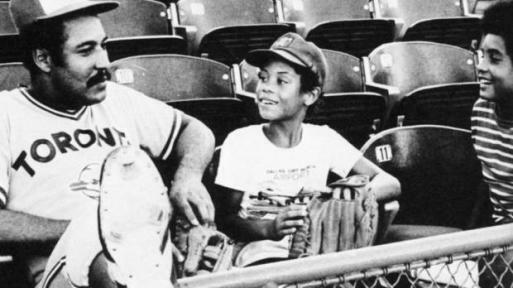 Velez had played on the Santurce Crabbers (winter ball) with their dad. This one was suggested by RADAR. 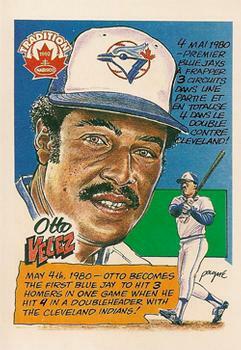 You young 'uns may not have heard much about the first great DH in Jays history but he was a highlight of the Jays' early seasons. He was the very first Jay to be named AL player of the month (April 1977!) According to Batter's Box, that was the best month by a Jay ever, even better than Edwin. Tom Dakers wrote a comprehensive summary of his career in 2012. He's listed as one of the instructors of the baseball academy but I couldn't find out anything else about his post-baseball career. Sadly, I was unable to find any video footage. Monkeyman mentioned a crazy foul ball AB that I couldn't track down either. What I remember from my childhood was a sweet swing and a big smile. Getty Images has some nice pics from that time. So what are your memories of Otto the Swatto?